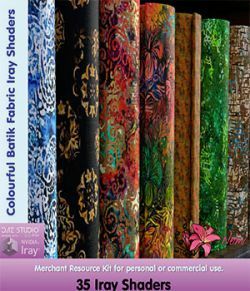 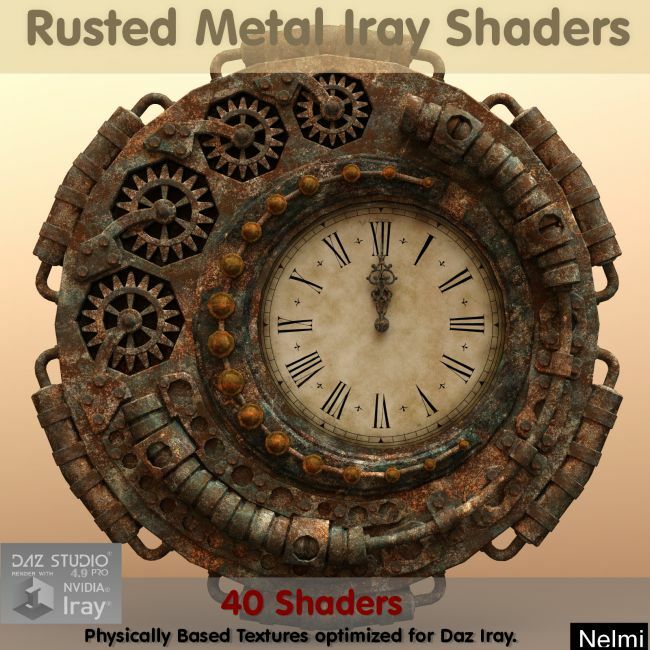 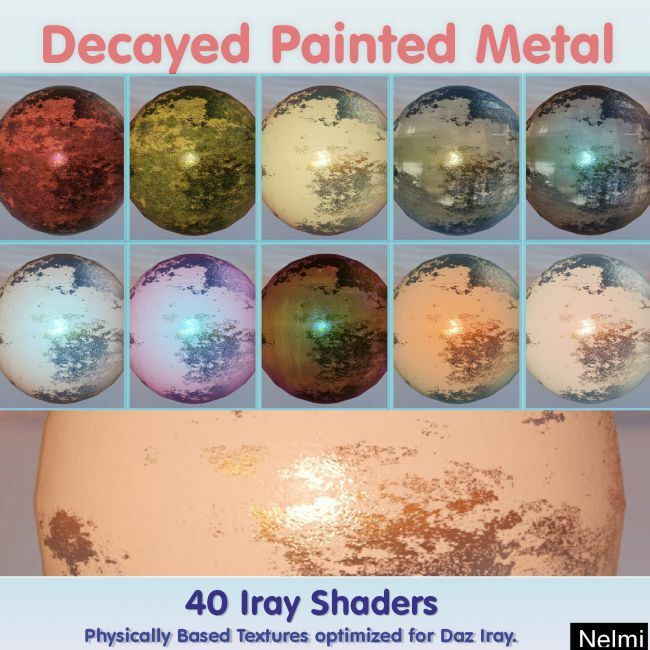 40 Decayed Painted Metal Iray Shaders - Merchant Resource. 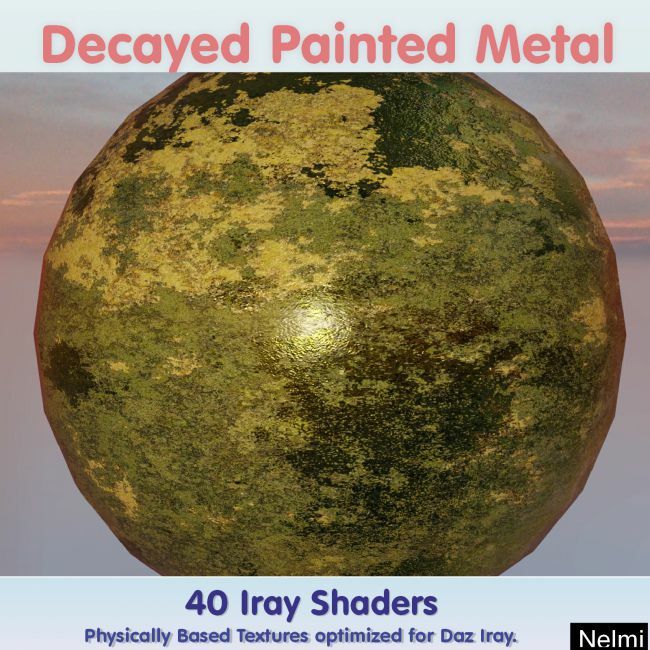 This is a high definition set of Painted Decayed Metal Iray shaders for surfaces that require rust and paint. 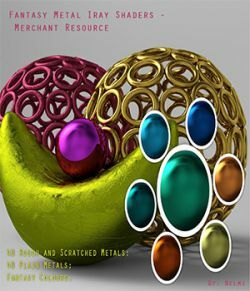 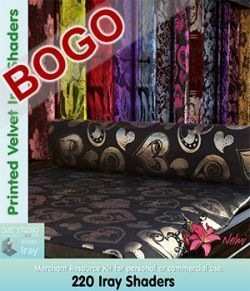 It is a Merchant Rescource and you can use it to create your own products. 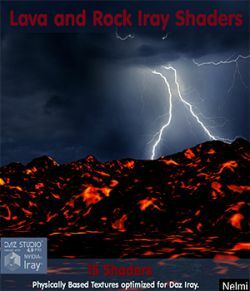 (Please read the readme file for instructions). 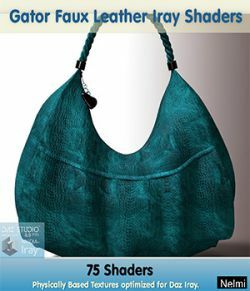 The set is made up of a base color, metal center color, and metal outer edge color. 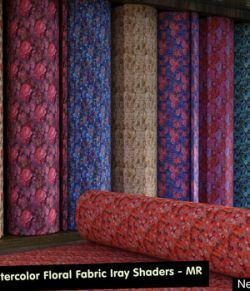 Together they react differently in specific light conditions, which makes them versatile and unique. 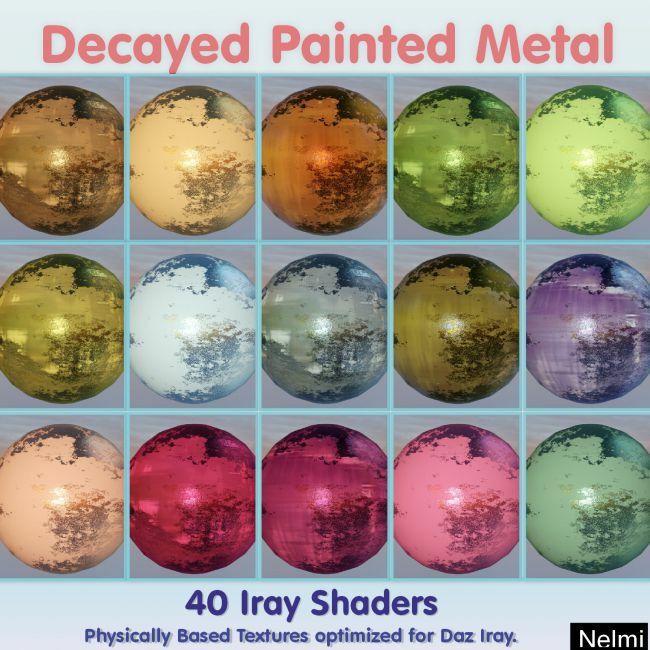 - 40 Decayed Painted Metal surfaces. 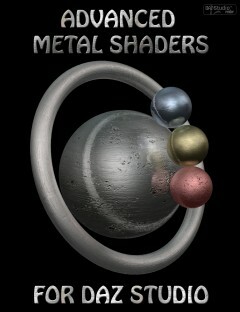 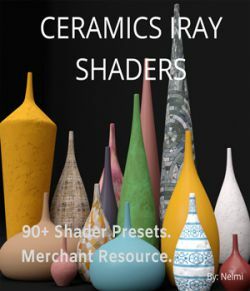 - These shader presets have metallic maps that target certain areas of the surface. 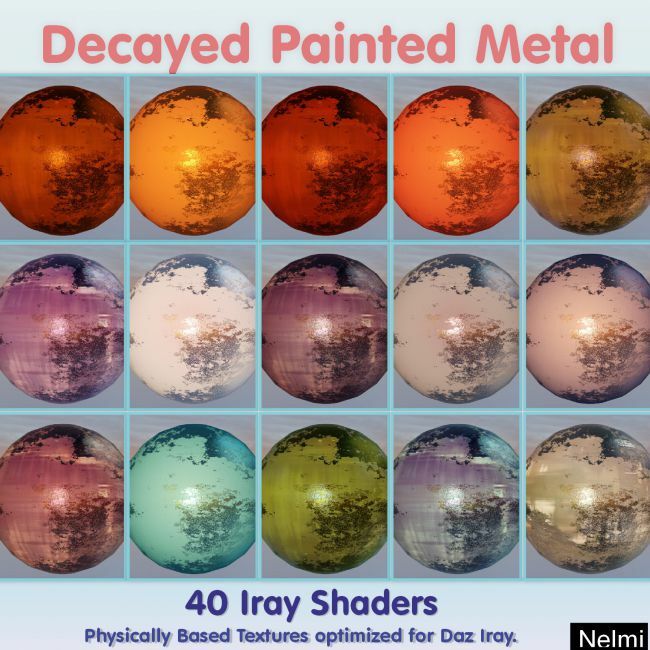 This is not a dial-up of the metallicity slider. 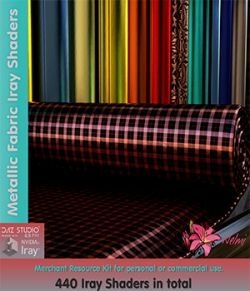 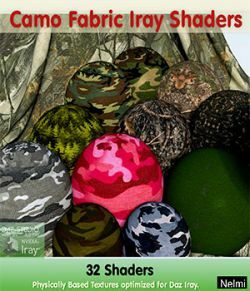 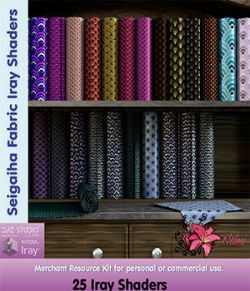 All 20 presets use special metallic maps to create unique shaders and effects. 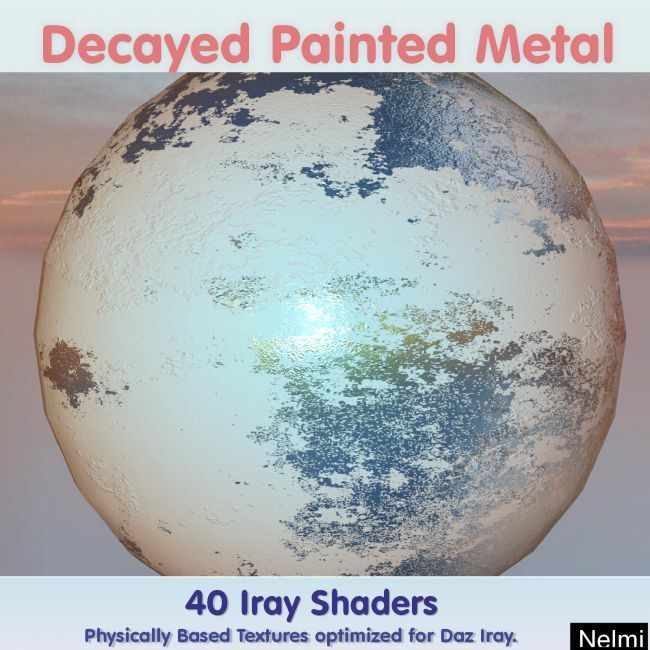 - Albedo/Normal/Bump/Displacement/Metallic maps are included. 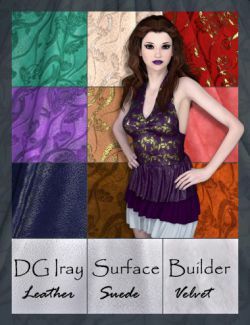 Requirements: Daz Studio Iray or any texture program that can work with jpg files.